DEPENDING ON YOUR FOCUS, THERE ARE MANY DIFFERENT types of training that vary in duration and effort. They all involve structuring a defined plan for the stress/rest model, which basically tells you which zones of exertion—or how hard you should go—you should be in and for how long. But how do you keep track of how hard you’re pushing your body and when you need to rest? Rating of Perceived Exertion: The Big RPE! If you’re in pain and you find yourself at the doctor’s office, they’ve created an easy and fairly accurate scale to learn how severe it is, simply by asking you how bad you feel on a scale of 1 to 10. The RPE (rating of perceived exertion) system is based on exactly the same concept. It’s the easiest (and most affordable) way to keep tabs on how hard you’re working because your own judgment of how hard it is for you is nearly as accurate as most of the other methods we’ll talk about. The downside is it only works if it’s used correctly, which is sometimes hard to do with consistency. We have a hard time being truthful to ourselves if we have ulterior motives. When you eat that doughnut for breakfast but you’re supposed to have an easy day on the bike, wanting to work off those calories might sabotage your soft-pedaling. If you just had a fight with your boyfriend or girlfriend, it might be harder to concentrate and keep up the entire 15 minutes of high intensity you’re supposed to put out. In the end, having some of the more high-tech gadgets that give you hard numbers as you pedal can help keep you honest on both easy and hard days. 1–2: Easy. Sitting on the couch watching Netflix. You should be breathing normally, completely relaxed. 3–5: Not hard. Getting up off the couch and going for a walk—maybe even speed-walking. Your breathing is a little faster, but you can easily have a conversation in which you don’t have to take a breath until the end of the sentence. 6–8: Putting in the effort. Taking it up to a jog or, if you’re feeling frisky, a run. You might be able to talk in phrases, but your breaths are short, hard, and fast enough that holding a conversation would be a challenge. 9–10: Maxing it out. Running fast to running a sprint as if your life depends on it. No air for talking, you’re using it all to keep your body moving—to the point you might even be gasping for air. The second most common and effective way of keeping track of your intensity level is using a heart-rate monitor. This little gadget works in conjunction with either a band on your wrist or around your chest that measures the electronic pulses of your heart in beats per minute (bpm), then sends them wirelessly to a monitor on your bike so you can keep an eye on what’s happening in your body. The most affordable of these are separate from your cycling computer that tracks your mileage, speed, time, or cadence, so you’ll have to find more room on your handlebars for another gadget, or pay extra for a computer that does all of these things in one package. It will involve a little more math to get started. You have to use easy formulas to get some baseline stats for how many bpm your body needs to hit to be in a particular zone of effort. Keeping track of your heart rate can also lead to wanting to use software or websites to really track your results, since you’ll have concrete numbers to plug in. In other words, using heart rate is a great fit if you’re the type of person who likes to geek out a bit. So, first off, you’ll want to figure out your maximum heart rate (MHR), which is the absolute highest number of beats your heart can kick out in 1 minute. All the other training zones are based off of this magic number, and it will differ for everyone based on age and fitness level. The easiest and quickest formula for figuring it out is 208 – 0.7 (your age). For example, for a 32-year-old man it would be 208 – 0.7(32) = 185.6 bpm. Note that this is a general formula, and there are others that work very similarly. Usually the results for each person will be within about 5 bpm of one another, so your zones will be close no matter the calculation you choose. The most accurate way to find your max is by testing it on the bike—which is best done under the supervision of a trainer and with the green light from your doctor, and is the most accurate when you’re starting a training program. This is a good choice if you’re already very fit, because being in shape heavily influences your heart rate. Although this is more accurate than just RPE, the best way to monitor your intensity is by combining your heart rate with your RPE. Together they can keep you in touch with whether you’re hitting the zone you’re aiming for. Your heart rate is also easily influenced—by caffeine, stress, adrenaline, and getting enough sleep. 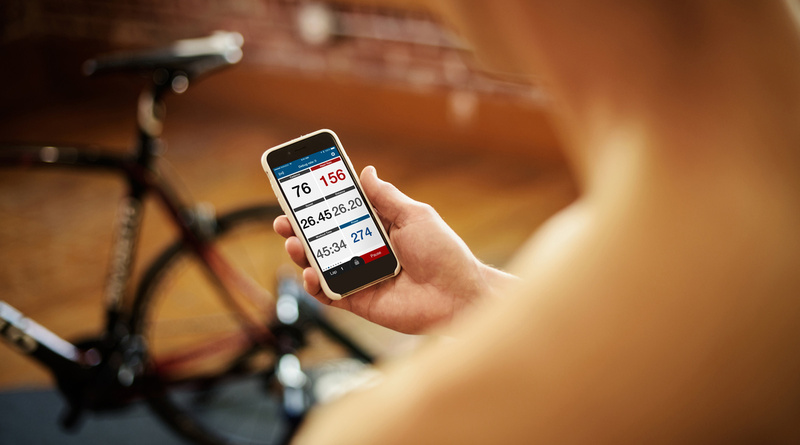 Whether you’re testing your MHR on the bike or trying to figure out if you’re hitting your targets on a workout, take intoaccount any extenuating circumstances that might influence it. For example, if you downed that double espresso before heading out for your ride, your heart rate might be sky-high, but your RPE low. Use your noggin—you know better than any trainer or formula if you’re hitting your goals for the ride. This is the method of the pros and hard-core athletes—or other riders who want to invest heavily in their training methods. No way around it, power meters are expensive, starting at around $1,600 for the cheapest model (because some of them also need a special wheel or crank set to be installed). This device measures the watts—or power—the rider puts out. This is the cleanest, clearest, and most dependable method for measuring workload on the bike. 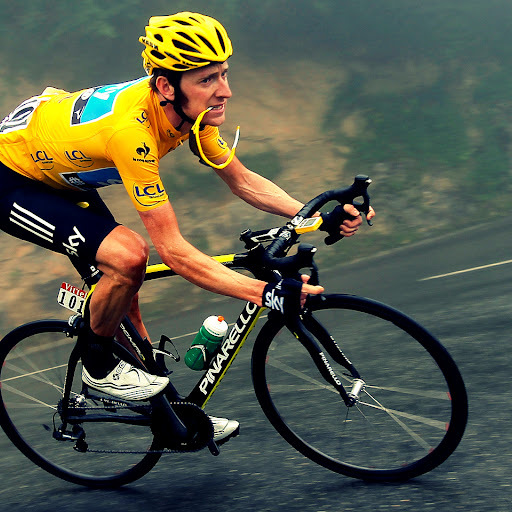 Power meters don’t lie, they don’t fluctuate, and they can’t be influenced by other factors. You either hit your wattage goals, or you don’t. However, to read it and use the numbers it provides, you also need to micro-monitor how your power varies on hills, flats, in the wind, and when riding for speed or endurance. Most athletes who opt for this also have access to software programs that allow them to upload their workouts so their professional trainers can follow every moment. These trainers are also likely to set up their training plans for them and monitor their numbers. If heart rate is the path to maximizing your effort, following your wattage is like getting a degree in your own fitness. Since this is beyond what most beginners need, it likely will be overkill for you. If you’re intrigued, talk with a professional trainer or coach about your options and how to get started using power meters.